Find below a selection of questions that have been asked and now shared with you, to help you answer some of the questions you may have. Can I recolour or restyle the 100% human hair full lace wig? The human hair full lace wig is made of 100% human hair. If you are experienced in colouring this type of hair, you can do this on the hair as you would with your natural hair. We strongly recommend not to dye the lace wig since most of our products have been coloured, especially wavy and curly or yaki hairs. During colouring, the hair may be over processed or damaged. We are not responsible for any damage caused to the wefts or wigs during dying. However you can dye Virgin Remy hair, as this is free of any damage to the cuticles when dying. For wavy or curly hair, these extensions/wigs have already been process permed for wave or curl. So, it is not recommended to hot curl or flat iron these again to avoid any over processing. For straight hair, Yaki perm straight and light Yaki hair, you can use hot curling or flat ironing, because this hair is naturally curly or wavy. How to tell the difference between 100% human hair and hair that is mixed with other fibre or Synthetic hair? All of our products are made of 100% human hair! 1. You can cut a single short hair and burn it. Human hair smells the same as your own hair when burning because it has protein inside. While synthetic fibre doesn’t smell the same way. 2. You can use very high temperature on human hair extensions/wigs and they would not stick to a hot iron or melt. Does the straight hair wave up when wet? If it is silky straight, our answer is “Yes, it does”. But after it is dry, the silky straight style will be back. The Yaki Perm Straight and Light Yaki textures do not wave up when wet. Yaki texture is a process that is done to the extensions/wigs which adds a micro kink to the hair strands to mimic Africa- Caribbean-American type textured relaxed hair. The silky straight hair texture is the natural state of 100% Human Hair that is in its natural silky state without being processed. What is virgin Brazilian/Remy hair? Virgin hair is 100% natural and not processed, which may cause any damage to the cuticle. Virgin Brazilian/Remy hair runs in one direction and naturally does not tangle easily, any tangling is very little. Virgin hair is soft, natural looking, lasts a long time and can be re-used over and over again. Indian Remy Hair is collected directly from Indian hair donors and Chinese Remy Hair is collected directly from Chinese hair donors. Indian hair is currently the best hair on the market for wigs and weaves. It comes in different textures. These include straight, curly and wavy. The Indian hair is recommended for everyone. We recommend you choose Chinese Remy hair if you want a very straight wig, that is naturally shiny, and is slightly more coarse. Wefts are strands of hair that have been sewn on by machine or hand-tied along one edge to create a line of hair. The hair is held together with a band of fine threads. Thus creating extensions Wefts comes in two types: hand-tied hair is a much smaller and thinner weft than the machine weft. Hand-tied hair is also more secure because the weft has been individually made by hand, which means less shedding. Also, since the weft is less bulky it makes it flatter and less visible to give a more natural look. Women and men of all races can wear hair extensions. Hair extensions have traditionally been worn by African-Caribbean – Afro-Americans but more and more people from all races/backgrounds are using them as an alternative hair fashion. The number of people wearing hair extensions has increased over the years and is growing all the time. Some people use hair extensions to blend with their own hair to create highlights without dying and risking damage to it. Only skilled hair stylists can apply some hair extensions but there are some hair extensions that can be applied by you. Good quality hair extensions not only look like real hair but they feel the same way too. There are many reasons why people wear hair extensions. It may be that their hair can only grow to a certain length and they wish for longer hair. This has often been common with Africans, Afro-Caribbean and Afro-Americans but now all are wearing hair extensions to either give them a new look, or to wear on a special occasion. Extensions are also worn for medical reasons or due to premature baldness. Some hair extensions require maintenance to keep them looking their best, just as real hair does, but most hair extensions can be slept in, washed and cared for just like your own hair. Hair extensions can be synthetic, natural or a combination of both. The best quality hair is 100% human hair that comes from Asia where females have long, healthy, and strong hair. The best quality hair used for hair extensions also has to be virgin hair. Virgin hair is hair that has never been tainted by chemicals such as dyes or perm solutions. Yes, with many hair extensions you can; you should wear a swimming cap as chlorine and sea water which contain salt can dry hair out. You must wash hair thoroughly with moisturising shampoo and a conditioner after swimming. Can I use a blow dryer or tongs on my extensions? 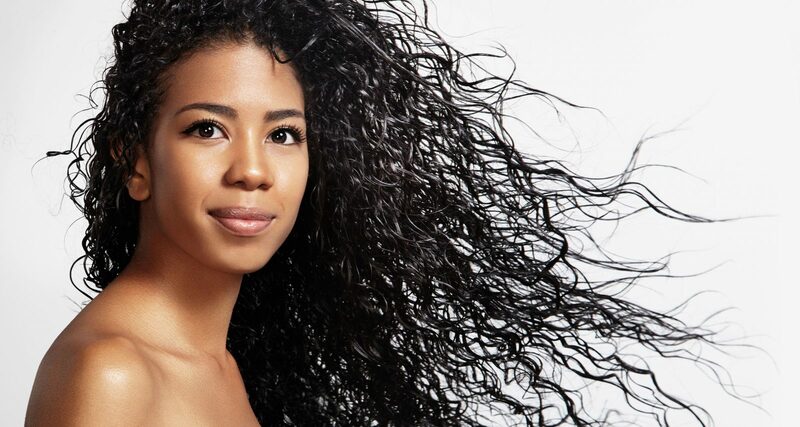 100% Human hair products can be styled just like your own hair. Just as too much heating can dry out your own hair; the same is true with extensions. Some synthetic hair extensions can also be heated but often only with low heat. Some hair extensions can be reused but it often depends on how the hair is taken care of. Most high quality hair extensions can be re-used if the hair care instructions are followed. The quality of the hair and level of skill in processing affects the quality. The best hair extensions are made with only the highest quality virgin Remy or Brazilian hair. It is not treated with any chemical acid and the cuticles on the hair been removed. The hair should also lay in the same direction which prevents knots, tangling and matting. Wash the hair at least once a fortnight, when you shower use a good quality shampoo and conditioner. Remember that hair extensions don’t benefit from the scalp’s natural oils like growing hair so make sure it is regularly conditioned. After washing and conditioning apply a good leave-on spray conditioner to keep it fresh between washes, if the hair gets wet in the rain always apply a leave-in condition, this should also be done after exercise as the salt in perspiration can be damaging. Always pat excess water from the hair and try let it dry as naturally as possible. Avoid sleeping with wet or damp hair. If you do have to use a blow dryer, dry the hair from the ends up. Loosen hair each morning and before you go to bed. Avoid combing tightly curled styles, shake them out instead. Use a wide tooth comb or fingers to loosen wavy hair. Most hair extensions have been processed and shouldn’t be coloured as it can damage the hair. If you need to make a colour match try colouring your natural hair to match the hair extension piece rather than the other way round. Or you could try combining two different colours to obtain a more natural tone. If you feel you must dye the hair extension, you can start by colouring from lighter to darker using non peroxide dyes. Test the colourant first with a small strand of hair. You have to ask me. Click on the register link located at the top of the site, fill in the required information and submit the form. Your account will be activated and then you are ready to start shopping.